In 1889, Van Gogh was stationed in the asylum hospital, where he found inspiration in the hospital's garden and the hospital itself. His style changed while he was in the Saint Remy. Suddenly, his paintings had swirling motions and thick brushstrokes. 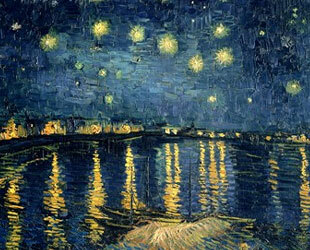 "The Starry Night" is one of the most famous art masterpieces painted during this time. He also painted his series of cypresses and olive trees. 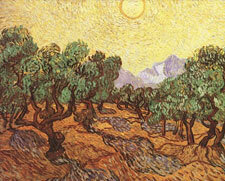 "Olive trees with Alpilles in the Background" is the most famous painting from this series and is also marked with specific swirls. In 1890, Van Gogh was in a very difficult situation in regards to his mental health - but this didn't stop him from working on his paintings. Two months later, Van Gogh moved to Auvers-sur-Oise, so he could be close to the doctor that was treating him and closer to his beloved brother. One of the techniques that he developed, near the end of his life, was the paired double canvas. He discovered that he could make a larger painting by combining two regular sized canvases. 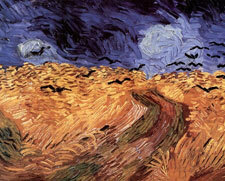 One of the images was created using two canvases was his infamous masterpiece, "Wheat Field with Crows". In July of 1890, at the age of 37, Vincent Van Gogh attempted suicide by shooting himself in the chest with a gun. He didn't make any critical damage to himself so he simply walked back to his home. He was treated by two doctors but without any access to surgeons, they decided that the bullet was to remain inside his chest. His brother came to see him as soon as he could but by the time he arrived, Van Gogh was in a great shape. A few hours after his brother came though, he suddenly got worse due to an untreated infection and died not a long time after that. He was buried in Auvers-sur-Oise. 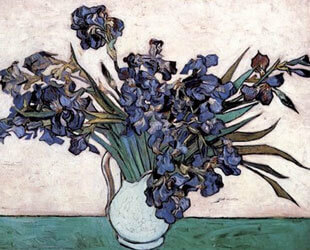 Van Gogh's art masterpieces were received positively by Albert Aurier in a French magazine in February 1890. 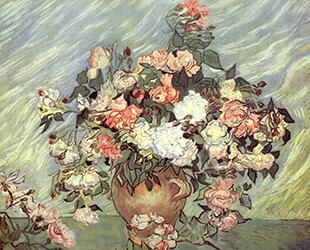 Albert Aurier regarded Van Gogh as a genius. 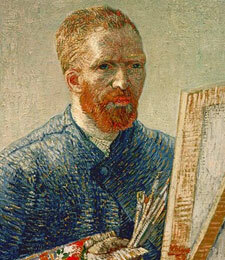 In the magazine, Mercure de France, Aurier describes Van Gogh's art as "strange, intense, and feverish," pouring praises on the unique colors and dramatic brushstrokes. At one of the famous exhibitions in Paris, Claude Monet praised Van Gogh's art by saying that Van Gogh's painting was the best one among all. Van Gogh's fame started to rise gradually after his first exhibit and, again, after his death. Exhibitions in memory of Van Gogh were held in Brussels, Hague, Antwerp and Paris. These art exhibits influenced a lot of striving artists over time. 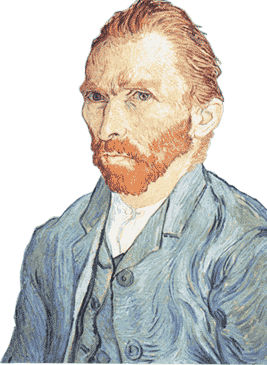 By the middle of 20th century, Van Gogh achieved his posthumous fame by being recognized as one of the greatest painters ever in history. The wife of Van Gogh's brother, Theo, dedicated herself to promoting the works of Vincent Van Gogh, including his letters. After his death, she decided that she wanted Van Gogh to get the recognition he deserved for his amazing feats in the arts and his hard-work over his lifetime. Thanks to her dedication, Van Gogh's fame was brought to new heights around 11 years after his death.